We were recently contacted by Smyths Toys Superstores to review one of their toys from the Squirrel Play toy range. I am a huge fan of Smyths Toys, they literally have every toy that kids want. It's most definitely our must go to store for our Christmas shopping and any other special occasion. 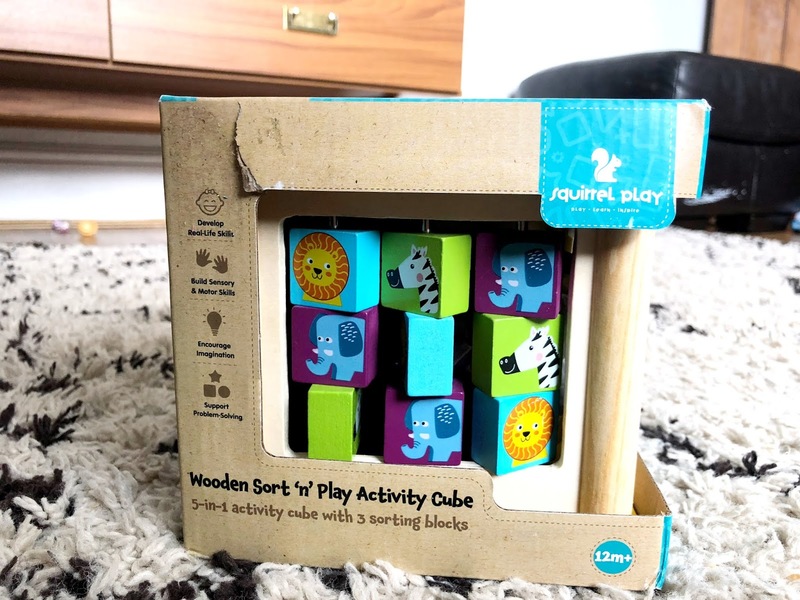 We were given the Wooden Sort 'n' Play Activity Cube from the Squirrel Play toy range to review. 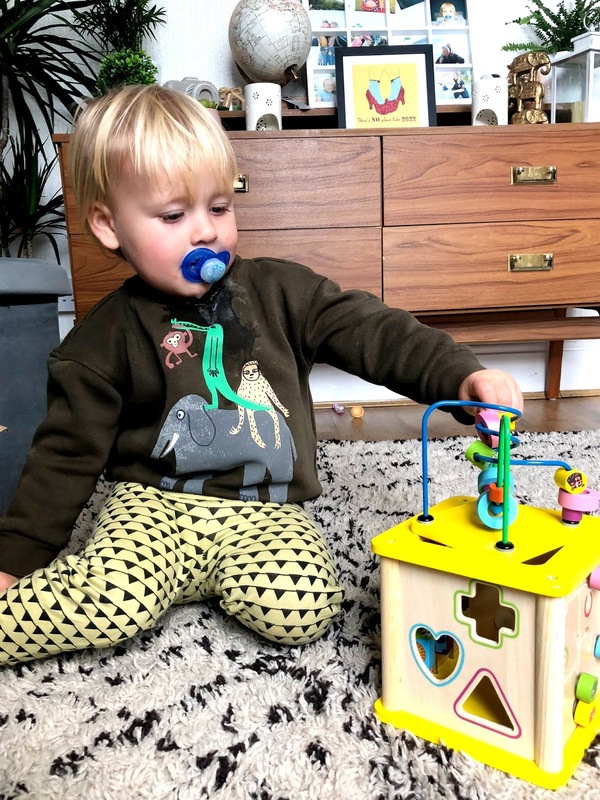 It's the perfect toy for Freddie's age, and it's wooden which is a huge bonus. 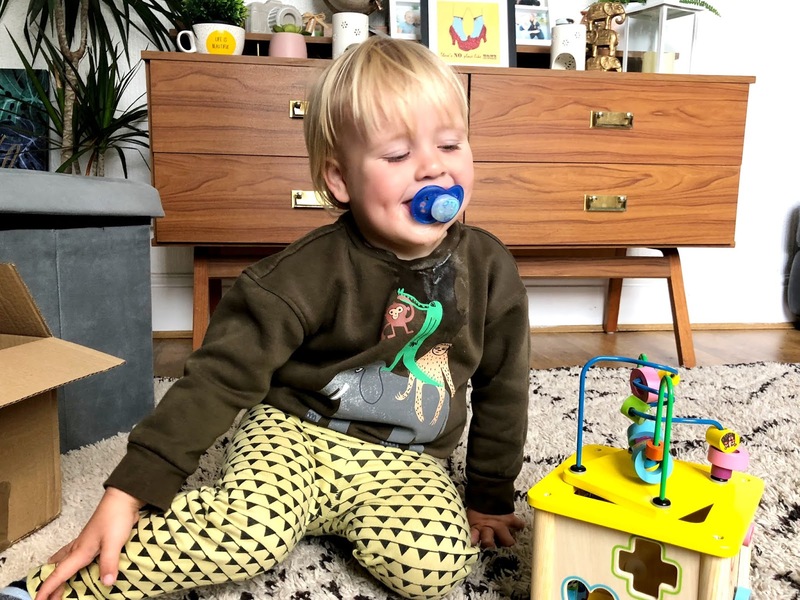 I love wooden toys for kids, especially for babies and toddlers. So I knew this Sort 'n' Play Activity Cude would be a huge hit with us here. It has 5 different activities to do that includes bead maze, spinners, shape sorter and more. The bead runner is removable which helps develop hand-eye coordination. I especially love all the bright colours and the high quality of the toy. 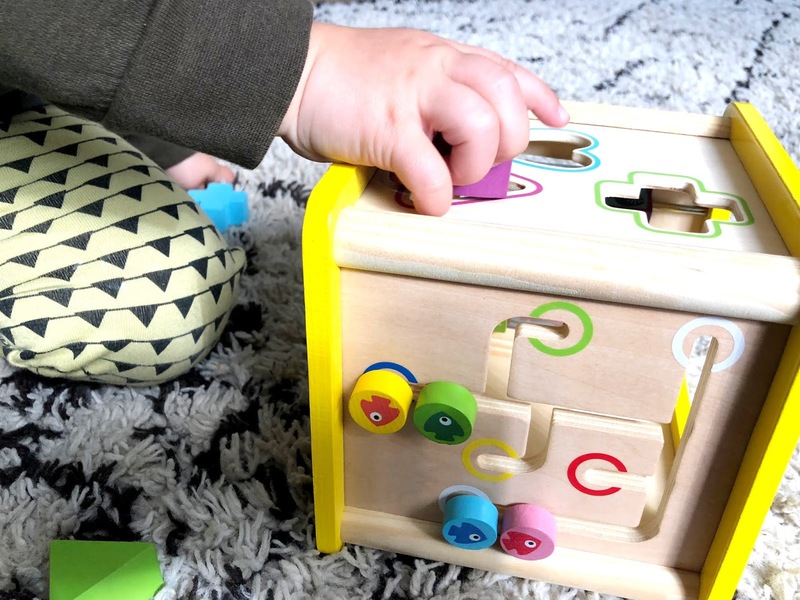 Freddie has had hours of fun playing with this wooden activity cube, and I'm guaranteed your little one would too. There are lots of different colours and adorable animal pictures that include some lions, elephants, zebras and more. 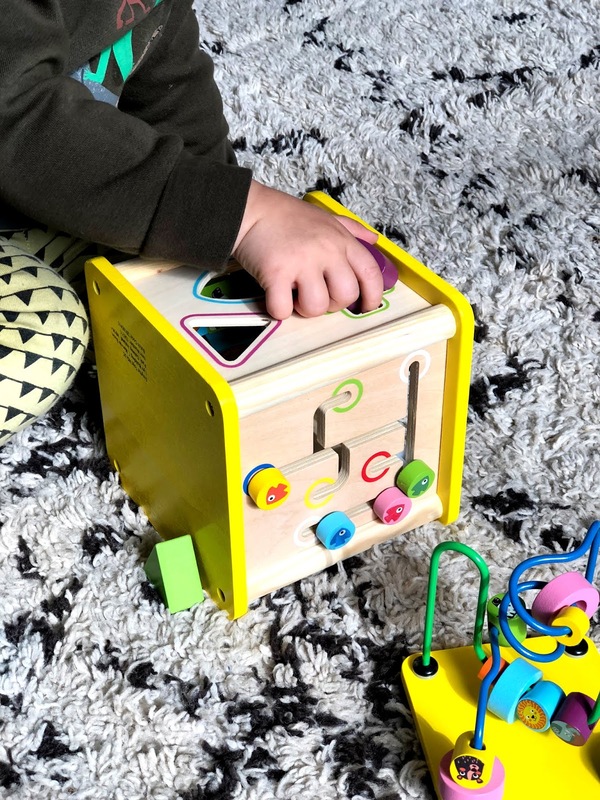 Not only is this activity cube great for your child to have hours of fun, but it's educational and helps your child develop too. 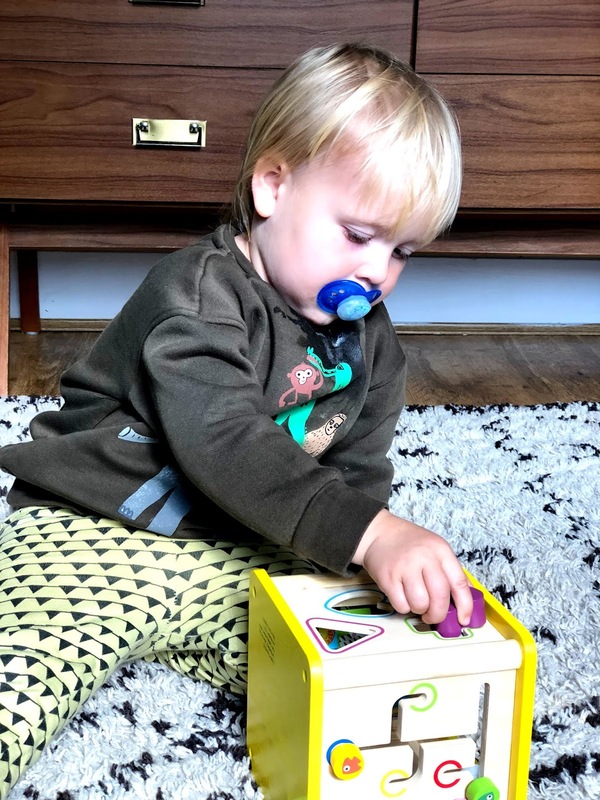 Your child will develop motor skills, recognition of colours and shapes, as well as problem-solving and matching. Squirrel Play have a great range of different wooden toys for little ones. All are great for helping development but most importantly, to put a smile on a child's face, as well as letting them use their full imagination. We were kindly gifted and paid for this review. However, as always, words, images and opinions are entirely our own.